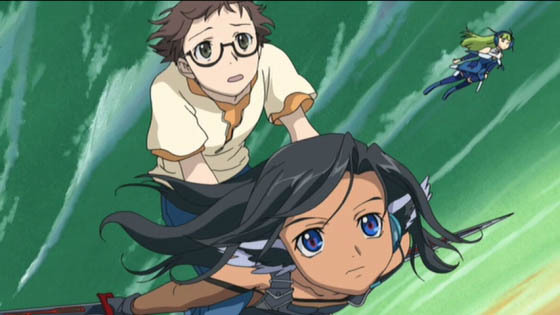 Dated 20 February 2007: Strike Witches, Sky Girls, and Mave-chan. 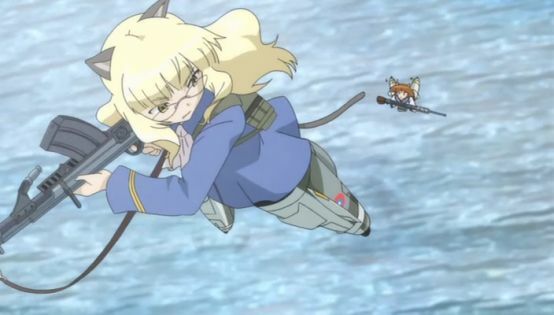 Perrine-H. Clostermann and Yoshika Miyafuji from Strike Witches. Sentou Yousei Shoujo Tasukete! Mave-chan. 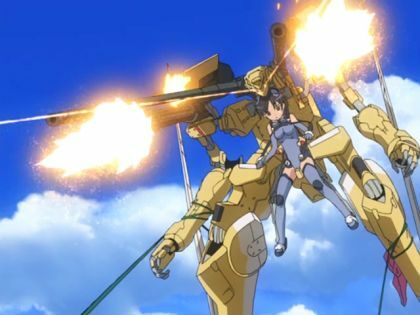 Having seen all three, I can say that the Strike Witches prelude has a superior score, and is better in that it has propeller and machine gun sound effects, but is otherwise inferior to Sky Girls in nearly all other aspects. However, the comparison is somewhat academic because Sentou Yousei Shoujo Tasukete! Mave-chan owns them both. Hey, ani-nouto discovered Sentou Yousei Shoujo Tasukete! Mave-chan.